Sometimes proper fireplace venting can be a challenge. Superior offers a Power Vent Kit that will allow you to properly vent your fireplace even when there is not an easy venting path. This kit also offers options to accommodate your special needs including different kit types and termination components. 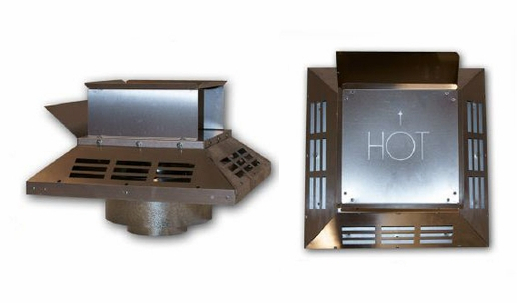 With the option of installing the fireplace vent termination above or below the fireplace, this kit will allow proper venting for difficult venting locations. Each kit includes a cord/wire harness and electronic junction control box. It is also compact with a 4.5 inch inner diameter and 7.5 inch outer diameter for a convenient compact size.